This short paper is dedicated to all the Melanoma Patients that didnot get a complete response with IL-2 Therapy. An antigen (Ag) recognition event is not predetermined. T-cells that are stimulated by self Ag generally fails to proliferate effectively and undergo induced Apoptosis (programmed cell death) or develop clonal anergy (lack of energy leading to inactivity). T-cells that are activated with non-self Antigen (Tumor specific antigen) undergo robust clonal expansion that leads to a large generation of effector T-cells, clearance of the foreign antigen-tumors, as well as development of memory cells. A new cell growth model: IL-2 T-cell system has been postulated by K A Smith and colleagues. In their model, they show that three factors are critical for T-cell cycle progression. Since we only have somewhat of control over Interleukin-2 concentration, the rest of the paper will focus on IL-2 concentration. 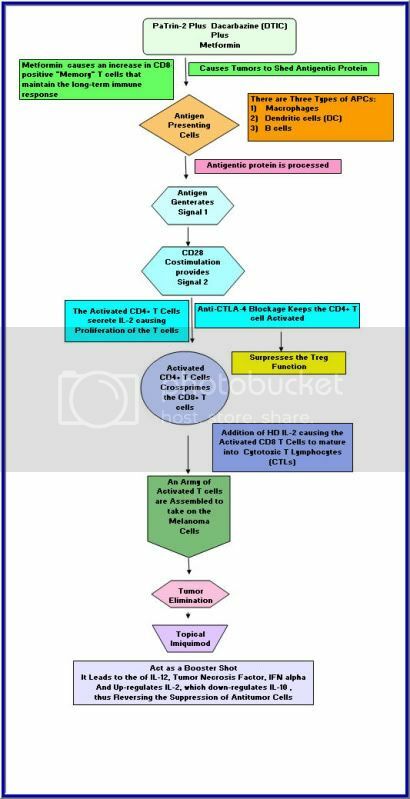 By limiting the exogenous IL-2 at the initial response phase, the T-cells in particular, the CD4 + and the CD8 + T-cells have to compete for the IL-2 that is secreted from the cells after activation. It is generally accepted that the T-cells must secrete IL-2 to aid in the expansion and survival of the T-cells. With this clonal expansion of the CD4 + T-cells also generates more subsets including the T-Regulatory foxp3 (CD4+ CD25+ FoxP3). only 2-5 percent of the overall population of the CD4 + T-cells. It has been shown that a 4-6 hour window of time was enough time to program the CD4 + T-cells to proliferate even after the separation of the antigen bearing presentation cell (APC). This activation time reflects the time needed to up-regulate the high affinity IL-2 receptor and secrete IL-2, thus facilitation of the IL-2 dependent expanding CD4 + T-cells. It has been indicated Mueller et al that sustained (TCR) T-cell receptor and CD28 signaling is necessary to maintain an optimal rate of cell division in the presents of IL-2. Once the antigen is cleared (used up) the CD4 + T-cells stop proliferating. So if you don’t have enough tumor specific antigens that are shed from the tumor, the expansion halts. 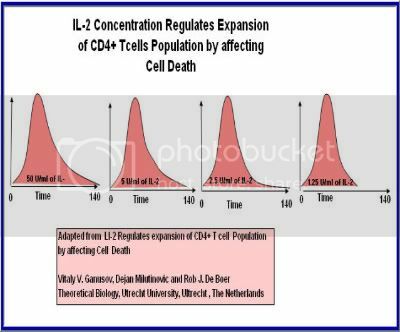 In a paper entitled “IL-2 Regulates Expansion of the CD4 + T-cell population by affecting Cell death, Ganusov and colleagues reported that the Il-2 has the most profound effect on the death rate of dividing CD4 + T-cells, specifically that the death rate increases with division number. Division number is the number of times the cells divide. At the lowest IL-2 concentration, the CD4 + T-cells have the highest death rate over the divisions. They reported at the first cell division they encountered 20% of the cells dying. At the sixth division, the death rate increased to 90 %. With the T-cells competing for IL-2, the consumption of the Interluekin-2 by the dividing CD4 + T-cells may cause the overall concentration in ones body to decrease causing a premature death to the T-cells. Without CD4 + helper cells, the CD8 + T-cells won’t get cross primed and activated. These CD4+ cells, called helper T cells, bind to antigen presented by B cells. The result is the development of clones of plasma cells secreting antibodies against the antigenic material. As you can see it is a delicate balancing act. It is like the three bears, you need it just right. 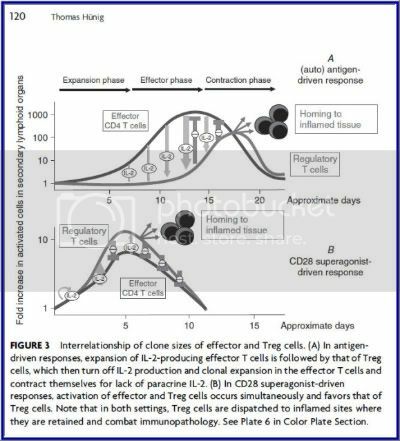 To little IL-2 will induce cell death and to much can cause a change in the feedback response loop causing the Tregs to undergo robust clonal expansion shutting down any chance of an immune response. 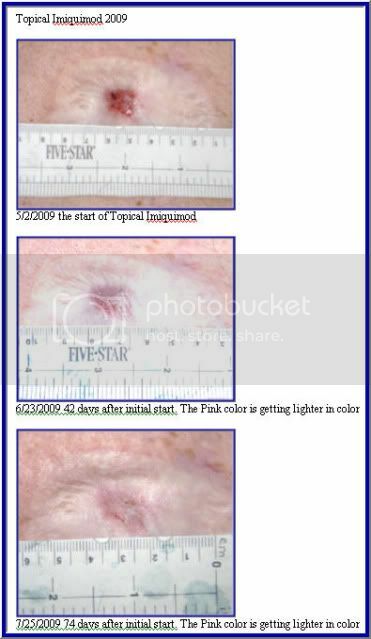 The Interluekin-2 plays another role in this Melanoma Maze. In a study by Janas et al, IL-2 increases the expressions of the perforin and granzyme A, B and C genes in the CD8+ T-cells. This increase expression causes the CD8+ T-cells to mature into Cytoxic T Lymphocytes (CTLs). The exogenous IL-2 is required for the granzyme proteins. As stated previously, CTLs have cytoplasmic granules that contain the proteins perforin and granzymes. A dozen or more perforin molecules insert themselves into the plasma membrane of target cells forming a pore that enables granzymes to enter the cell. Once in the tumor cell, these enzymes are able to breakup (lyse) the cell and destroy it. This is the beginning of the end for the cancer cells. The devil is in the details!!! Interluekin-2 concentration and timing of the addition of the exogenous IL-2 has a critical role to play in The Orchestration of an Inmmune Response. Lastly, I am going to leave you with my graphical representation of my therapy that has save my life. Study it. I willing to bet that this graph is medical history in the making base on the science research that I did. Center for Immunology, Department of Laboratory Medicine and Pathology, University of Minnesota, Minneapolis, MN 55455 The Journal of Immunology, 2002, 169: 1753-1759. Surgery Branch, NCI, NIH, Bethesda, MD 20892, USA. 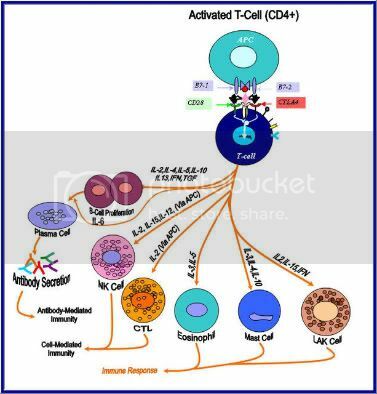 Interleukin-2 (IL-2) is historically known as a T-cell growth factor. Accumulating evidence from knockout mice suggests that IL-2 is crucial for the homeostasis and function of CD4+ CD25+ regulatory T cells in vivo. However, the impact of administered IL-2 in an immune intact host has not been studied in rodents or humans. Here, we studied the impact of IL-2 administration on the frequency and function of human CD4+ CD25(hi) T cells in immune intact patients with melanoma or renal cancer. We found that the frequency of CD4+ CD25(hi) T cells was significantly increased after IL-2 treatment, and these cells expressed phenotypic markers associated with regulatory T cells. In addition, both transcript and protein levels of Foxp3, a transcription factor exclusively expressed on regulatory T cells, were consistently increased in CD4 T cells following IL-2 treatment. Functional analysis of the increased number of CD4+ CD25(hi) T cells revealed that this population exhibited potent suppressive activity in vitro. Collectively, our results demonstrate that administration of high-dose IL-2 increased the frequency of circulating CD4+ CD25(hi) Foxp3+ regulatory T cells. Our findings suggest that selective inhibition of IL-2-mediated enhancement of regulatory T cells may improve the therapeutic effectiveness of IL-2 administration. Just thought you might like to Know!!! 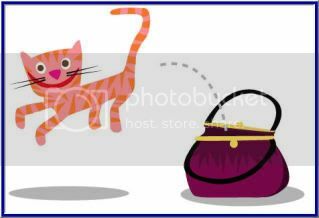 The cat is out of the bag!!!!!! WE controlled the expansion of the CD4+ cells and in doing so we controlled the surpressive T regs which are a subset of the CD4+ T-cells. By controlling the expansion of the T Regs, One can shift the balance of the Immune system to initiate an immune response. I got the go ahead to start round two of the Topical Imiquimod. To induce an immune response won't happen over night. You have to get the T-cells to migrate to the location of interest. Then you have to wait for their other T-cell friends to show up and join the party. So Let the party begin. 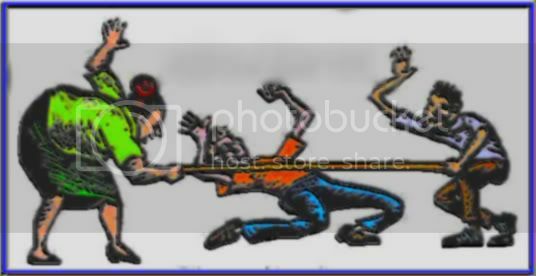 Lets do the Limbo!!! Update on Topical Imiquimod ..It seems to be working!!!! How might imiquimod activate the apoptotic program in melanoma cells? Several pathways leading to the induction of apoptosis have been described over the last years. Schön et al started to examine the role of these different cell death pathways and first showed that imiquimod-induced apoptosis requires the activation of the "work horses" of apoptosis necessary for the unique phenotype of apoptotic cells, namely, the caspase family of proteases (Nicholson, 1999). A widely studied pathway for the induction of apoptosis is the "extrinsic" cell death pathway, when apoptosis is triggered from the outside of the cell by death receptors like TNF-R1, TRAMP, CD95, TRAIL-R1 and -R2, DR6, and EDA-R (Locksley et al, 2001). Expression of a single gene programs an immune system helper T cell that fuels rapid growth and diversification of antibodies in a cellular structure implicated in autoimmune diseases and development of B cell lymphoma, scientists at The University of Texas M. D. Anderson Cancer Center reported today in Science Express, the advance online publication of the journal Science. Newswise — Expression of a single gene programs an immune system helper T cell that fuels rapid growth and diversification of antibodies in a cellular structure implicated in autoimmune diseases and development of B cell lymphoma, scientists at The University of Texas M. D. Anderson Cancer Center reported today in Science Express, the advance online publication of the journal Science. The gene is Bcl6, which the team found plays the crucial role in differentiating a naïve T cell into a T follicular helper cell (Tfh). "Tfh cells were first noticed in structures called germinal centers found in the lymphoid system - in lymph nodes and the spleen," said senior author Chen Dong, Ph.D., professor in M. D. Anderson's Department of Immunology. Germinal centers are powerful machines that churn out lots of antibodies. In the adaptive immune system, B cells present an antigen - a distinctive piece of an invading bacterium or virus - to T cells. The bound antigen converts a naïve T cell to a helper T cell that secretes cytokines which help the B cells expand and produce a large volume of antibodies to destroy an intruder. Tfh cells are concentrated with B cells in germinal centers, where they play a helper T cell's traditional role in B cell proliferation and antibody development. "In germinal centers, the B cells not only proliferate but they also undergo hypermutation in their immunoglobulin genes so they can produce a diverse class of antibodies," Dong said. "These mutations also allow production of antibodies with stronger affinity for their target antigens." There are pitfalls to this process. Tfh cells and germinal centers have been implicated in antibody-mediated autoimmune diseases such as lupus and rheumatoid arthritis, Dong noted. In these diseases, the germinal centers are likely producing the wrong type of antibody at great volume. Genetic hypermutation among B cells in germinal centers creates a hotbed of genomic instability, which gives rise to some types of B cell lymphoma, Dong said. The scientists set out to understand the role of Bcl6, which is short for B-cell lymphoma 6, a transcription factor previously shown to be selectively expressed in Tfh cells. Last year, Dong and his colleagues reported in the journal Immunity that cytokines IL-6 and IL-21 drive the differentiation of Tfh cells. However, how these cytokines work had been unclear. In the current study, the team reported that that IL-6 and IL-21 induce expression of Bcl6 in the absence of transforming growth factor beta (TGFß) to drive T cell differentiation into Tfh. "Not only is Bcl6 a transcription factor expressed by Tfh cells, it also has a major function in generating these cells," Dong said. When TGFß is present with IL-6 and IL-21, T cells differentiate into pro-inflammatory Th17 helper cells. Finally, when the Bcl6 gene was knocked out in a mouse model, Tfh was nowhere to be found. "Bcl6 is absolutely required for Tfh generation and it's also important because it blocks other pathways that would lead the T cell into other helper cell types," Dong said. Solving the molecular programming of Tfh establishes it as the fifth distinct lineage of helper T cell. Dong and colleagues will continue to characterize Tfh and its relationship to other T helper cells. Dong is co-discoverer of the Th17 cell, which he and colleagues identified as the third T helper cell lineage when conventional wisdom held that there were only two such lines. They also showed that Th17 secretes interleukin-17, which is implicated in both inflammatory and autoimmune diseases. Co-authors with Dong are first author Roza I. Nurieva, Ph.D., Yeonseok Chung, Ph.D., Gustavo J. Martinez, Xuexian O. Yang, Ph.D., Shinya Tanaka, Ph.D., Tatyana D. Matskevitch, and Yi-Hong Wang, all of M. D. Anderson's Department of Immunology. The work is supported by research grants from the National Institute of Allergy and Infectious Diseases, the National Institute of Arthritis and Musculoskeletal and Skin Diseases, M. D. Anderson Cancer Center's Center for Targeted Therapy and the Leukemia and Lymphoma Society. Martinez is a Schissler Foundation Fellow in cancer research and a student in The University of Texas Graduate School of Biomedical Sciences, a joint program of M. D. Anderson and the UT Health Science Center at Houston. Chung has a postdoctoral fellowship grant from the Korea Science and Engineering Foundation. Nurieva is recipient of a Scientist Development Grant from the American Heart Association, and Dong is a Leukemia and Lymphoma Society Scholar and a Trust Fellow of M. D. Anderson Cancer Center. The University of Texas M. D. Anderson Cancer Center in Houston ranks as one of the world's most respected centers focused on cancer patient care, research, education and prevention. M. D. Anderson is one of only 40 comprehensive cancer centers designated by the National Cancer Institute. For four of the past six years, including 2008, M. D. Anderson has ranked No. 1 in cancer care in "America's Best Hospitals," a survey published annually in U.S. News & World Report. These B cells can also help in the attack on the Cancer cells. Cancer immunotherapy has mostly been a failure so far. With its $2.4B purchase of Medarex, the company wagers it has found a winner. Attempts to spur the immune system to kill tumors have mostly failed in trials. Now Bristol-Myers Squibb is betting billions that it can make immune-targeting therapies finally work against cancer. Its $2.4 billion cash acquisition of the biotech firm Medarex ( MEDX - news - people ), announced late Wednesday, represents a giant gamble that immunotherapy will become the next big thing in cancer treatment. Medarex's lead drug, ipilimumab, now in a final-stage trial for advanced melanoma, doesn't target tumors directly at all. Instead it works by removing the brakes on the immune system so it can attack and kill the tumor. Yahoo! BuzzIn recent years, evidence has built that the immune system can sometimes attack and kill cancer cells--sometimes--but that cancer finds ways to fight back and evade or blunt the attack. (See "Cancer Miracles") For some people with advanced cancer, ipilimumab may be just enough to trigger a full-fledged anti-tumor attack. Bristol-Myers Squibb ( BMY - news - people ) has been collaborating with Medarex for years but now will get full rights to the drug. "We wouldn't be betting $2.4 billion in cash unless we were optimistic" it would work, said Bristol-Myers Chief Executive James Cornelius in a conference call. "This will not be a cure-all for all types of cancer" but it could be "complementary to therapies that are out there today." Medarex has other cancer immunotherapies in earlier stages of testing, as well as drugs targeting lupus, rheumatoid arthritis and inflammatory bowel disease. Bristol's buy is a risky move because numerous treatments and vaccines that aim to stimulate the body against cancer have mostly failed. One of the few that has worked so far is an experimental prostate cancer vaccine from Dendreon ( DNDN - news - people ) that recently had good trial results. The immune system is one of the more complicated parts of the body and doctors are only beginning to understand its intricacies. Another immune-boosting therapy against cancer, the natural immune system protein interleukin-2, has been limited by severe side effects. Most trials of ipilimumab to date have been in advanced melanoma, where a small percentage of patients have experienced spectacular long-lasting remissions, even as the drug appears to do relatively little for the majority. Why more patients don't respond is a subject of intense research at laboratories worldwide. Some patients get autoimmune side-effects. They will only get Synergistic complete responses when they use ipilimumab in combination with IL-2. You also will have to have the right antigen to be presented.Timing when the drugs are introduced in the therapy plays a critical roll in the outcome of the immune response. Jean, a very courageous warrior against this terrible Beast has lost her Battle. If only the Experimental Drugs were available. Would it have made a difference? I surely think so. As the Board members and CEO of BMS get richer, it is all blood Money. "It looks like Vanberbilt may have a trial for your mother. Make sure it is NOT a double Blind. You want to make sure the Jean gets the CTLA-4." Please stop to pay your respects on Jean' page. A new arsenal of therapies is aimed at a widespread and lethal skin cancer. "Until recently researchers had little clue what molecular changes drive melanoma's rapid growth. But that has changed in a flurry of basic biology findings. "In terms of understanding what makes melanoma tick, in the past five years there has been an utter revolution," says Keith Flaherty, a physician at the University of Pennsylvania. In 2002 gene researchers in the U.K. discovered that two-thirds of melanomas have a mutation in a growth-promoting gene inside skin cells called BRAF. The mutation causes the BRAF protein to become stuck in the "on" position, so it constantly sends a signal to the nucleus that it is time to proliferate. BRAF blockers are now in early-stage human trials at Novartis and separately at Roche, which works with partner Plexxikon. AstraZeneca is in midstage trials with 180 melanoma patients for a drug that hits a related target called mitogen-activated protein kinase kinase. "Every company I know of is interested in this," says Plexxikon Chief Executive Peter Hirth. Therapies that trick the immune system into attacking melanoma are further along. Such immune system boosters have the potential to treat many types of cancer, but melanoma is one of the prime initial targets because it is one of the few cancers known to go into spontaneous remission on its own, indicating a possible immune response at work. The immune system activator interleukin-2 helps 15% of advanced melanoma cases and cures a few, but it produces such devastating side effects that patients must be hospitalized. Pfizer's drug tremelimumab and Bristol-Myers Squibb's ipilimumab are antibodies to a protein called CTLA-4 (cytotoxic T-lymphocyte antigen-4) that acts as an emergency brake to prevent killer T cells from attacking healthy tissue. The antibodies bind to the CTLA-4, found on a cell's surface, and shut off the brake. Killer T cells then attack the cancer cells. Both drugs are in final-stage trials on hundreds of melanoma patients. Much credit for the concept goes to immunologist James Allison, now at Sloan-Kettering. In the mid-1990s he theorized that CTLA-4 might prevent the immune system from mounting an effective response against tumors. Others were skeptical. But Allison showed in 1996 that he could shrink tumors in mice by injecting them with antibodies to CTLA-4. Both Pfizer and Medarex, a biotech firm in Princeton, N.J., subsequently produced human antibodies to CTLA-4 and began testing them in patients a few years later. In 2005 Bristol-Myers Squibb paid Medarex $50 million in cash plus up to $480 in payments contingent on the success of Medarex's antibody. At a meeting of cancer specialists last June Bristol-Myers and Medarex reported their drug shrank tumors in 46, or 13%, of 356 melanoma patients. The Pfizer antibody shrank melanomas in 7 of 84 patients in a midstage trial. The success rates were modest, but cancer doctors say that some patients may have had delayed responses. In some people tumors started to regress months after they had been declared treatment failures, says Bristol-Myers Vice President Renzo Canetta. UCLA's Ribas calls the response rates "very low" and cautions that the anti-CTLA-4 drugs are just a first step. But even if the drugs improve survival only minimally, they are likely to be approved, he says. Bristol-Myers and Medarex are expected to finish key trials this fall. RBC Capital Markets analyst Jason Kantor pegged the odds of disappointing results "relatively high" in a recent report and rated Medarex an underperform; if the response rate is under 10%, it would make near-term approval "iffy", he says. Side effects of the drugs can include inflammation of the colon, thyroid or pancreas, or other autoimmune problems. One reason for the limited response rate may be that some patients' T cells do a poor job of recognizing melanoma. To improve this situation, researchers are combining new antimelanoma vaccines with anti-CTLA-4 drugs. The idea is that the vaccines will train T cells to spot cancer, while the antibody will make sure the T cells remain activated long enough to do their dirty work. Sharon Belvin was one of the first to try such a combination therapy. 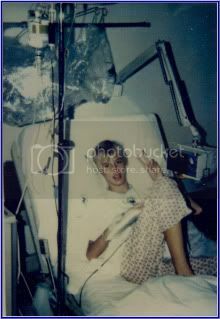 In May 2004, just a week before her wedding, she had developed a melanoma metastasis in her left lung. Belvin was only 22. The tumor grew through her chest cavity underneath her collarbone. Various chemo drugs and interleukin-2 produced nerve damage and other nasty side effects and didn't solve the problem. By June 2005 she had tumors in both lungs and could barely breathe or walk. Then Wolchok put her in a trial testing ipilimumab with an experimental Medarex vaccine. After only four treatments the tumors started to melt away. They were gone by mid-2006. The Jamesville, N.C. resident has been off therapy for a year and is pregnant with her first child, a girl due Feb. 10 2008." 59,940 annual cases of melanoma in the U.S.
99% five-year survival rate, localized disease. 15% five-year survival rate, widespread disease. What sets us apart? …We are Greedy!!!!!!!! The drug maker AstraZeneca, the Bristol-Myers Squibb Company and Bayer reported declines in first-quarter profit on generic competition and costs from cutting jobs. A former Bristol-Myers Squibb executive was charged with making false statements to the F.T.C. about a pact made with a Canadian maker of generic drugs. AstraZeneca, Bristol-Myers Squibb and Schering-Plough must pay damages for overcharging on certain drugs. A two-year probation for Bristol-Myers Squibb ends Thursday, freeing the company from federal supervision after a major accounting scandal and other misconduct. Drug maker Bristol-Myers Squibb pleaded guilty to making false statements to a federal agency in a case involving its blockbuster drug, Plavix. Big pharmaceutical companies sometimes calculated to the penny the profits that doctors could make from their cancer drugs and shared those estimates with doctors. The company will pay a $1 million criminal fine for lying to the government about a patent deal on its blood-thinning drug Plavix. And there is more at the site below. Does anyone see a trend emerging? response and are candidates for immunotherapy research [1, 2]. T-cell regulation. Potential targets for immunotherapy include CD-137 , PD-1  and CTLA-4  receptors on T-cells and the CD-40 receptor  on antigen-presenting cells. thus placing a brake on the T-cell response. Blockading CTLA-4 has the potential to remove the brake on T-cell activation, thus enhancing the T-cell response to tumour cells . This is one area of clinical research that Bristol-Myers Squibb is currently exploring to help improve clinical outcomes in oncology. New Insights are Coming to Light!!!! I believe, BMS now has the the Monopoly on Anti-CTLA-4 monoclonal antibodies. BMS wants it all. Greed at its finest. "What sets us(BMS) apart?" Greed!!!!!!!! This is nice PR, but if you don’t walk the walk and it is all talk, then it means NOTHING!!!!!!! price of approximately $2.1 billion. The Board must have deep pockets!!!!!!!!!!!!!!!! What is their cut?? cancer treatment options to patients in need." marketed therapies (SIMPONI(TM), STELARA(TM) and ILARIS(R)). has agreed not to solicit any competing offers for the company. approximately thirty (30) days after commencement of the tender offer. by Covington & Burling LLP, New York, New York. is to extend and enhance human life. For more information visit www.bms.com. the latest information on immunotherapies of melanoma. Whether you are newly diagnosed or are years after diagnosis, this program will provide quality information about melanoma. The conference is intended for patients with melanoma or friends or family member so that you have the information you need to understand melanoma from diagnosis, to treatment, to long term follow up. Speaker: Jedd Wolchok, M.D., Ph.D.
After Dr. Wolchok’s presentation, there will be time for live question and answer period. Listen to The Words of Wisdom!!!!! How Immunology Saves a Life!!!!! T-Cells Know How to Save a Life!!!!!!!! Alan Houghton, M.D., chief of immunology at Memorial Sloan-Kettering Cancer Center, New York. "I remained convinced that the immune system is very important in the control of cancer," Morton says. "We just need to know what the right buttons are to push so that everybody responds." I am writing to you today for your help and support. As you know Melanoma therapy depends on cutting edge drugs. These drugs take years to go through the FDA process and most of them fail. This is what happen to Tremelimumab (from Pfizer) is an IgG2. We need organizations like the Abigail Allaince to help us in the quest to get these and other cutting edge drugs. Our lives depend on it. So won’t you please Donate today. If you have loveones that are fighting cancer, don’t you want them to have access to these cutting edge drugs? Medarex and Lonza Sign Collaboration Agreement for the Supply of Antibody-Based Products. I believe that they are gearing up for a full marketing Blitz. "As one of the frontrunners in the contract manufacture of monoclonal antibodies and recombinant proteins from mammalian cell culture, Lonza produces the essential ingredients for tomorrow’s life-saving medicines with four state-of-the-art cGMP multi-product facilities. One of these facilities is in the UK in the Thames Valley technology corridor, which focuses on process development and clinical trial supply (including small-scale manufacture of licensed products). The second is in the USA, just outside Boston, Massachusetts, focusing on large-scale manufacture for late-stage clinical trials and in-market supply. The third is in Northern Spain, and the fourth is currently under construction in Singapore. We are hard at work developing the world’s most advanced biotechnology manufacturing processes." "Lonza is the world's leading contract manufacturer of monoclonal antibodies and recombinant proteins. Lonza undertakes highly specialized development and manufacturing services for the pharmaceutical and biotechnology industries based on more than 25 years of experience in mammalian cell culture and proprietary technology for large-scale manufacture of innovative biopharmaceutical products"
Now all we have to wait for is the FDA Approval. As far as I know,Ipilimumab has not been submitted to the FDA for approval at this time. Base on this Clinical trial which is not active yet, It looks like Bristol Meyer Squibb/Medarex is trying different processes. The purpose of this clinical research study is to compare pharmacokinetics of ipilimumab manufactured by two different processes. I wish they would just come out and tell the world so we would stop the speculations. "Jim! I don't believe that Medarex involve anthing to the shortage of drug in its compassionate trial. Medarex is just a research company... not a drug manufacturing... it does not have any capacity to scale up the drug. That's a reason why they partner up with Bristol Myers for MDX-010. Because BMS is the big drug company, which already has production plans/manufacture facilities. I do believe BMS actually ran into a shortage of production due to unexpected demands. Right now they are working on the other process production plan, which called plan B vs plan C. But the FDA still requires them to run a trial for it. See my link.. If anyone to blame for.. it's the FDA.. From the recent ASCO data, MDX-010 proves that it doubles 1 year overall survival rate, it doubles 2 years survival rate.. when compares to the history data of DTIC. But that is still not good enough to let the company market the drug? Why the FDA want to sacrifice more human lives in order to prove the drug is efficacy? The history data of DTIC, which has been studied for 30 years.. which including very recent studies ... but still not convince them. What they want.. is another trial.. 300 human lives or more in DTIC arm, and another 300 human lives in MDX-010 arm.. then to seen if 300 human lives or more in DTIC arm die sooner? 30 years since DTIC approved, NO single drug has improve overall survive.. and now the only MDX-010 has proved it.."
"Mr. Pien is the Chairman of our Board and our President and Chief Executive Officer. Prior to joining us in June 2007, Mr. Pien was the Chairman and Chief Executive Officer and a Director of Chiron Corporation, a biopharmaceutical company involved in three healthcare markets: blood testing, vaccines, and biopharmaceuticals, from April 2003 until Chiron's merger with Novartis in April 2006. From April 2006 to June 2007, Mr. Pien performed consulting services. He joined Chiron from GlaxoSmithKline, where he held roles in commercial operations and general management, including positions as the head of the international business. Mr. Pien previously held key positions in SmithKline Beecham's pharmaceuticals business in the United States, the United Kingdom, and North Asia, culminating in his tenure as President, Pharmaceuticals-North America and head of the worldwide pharmaceutical and vaccines businesses. Prior to joining SmithKline Beecham, he worked for six years for Abbott Laboratories and five years for Merck & Co., in positions of sales, market research, licensing and product management. 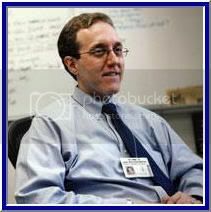 Mr. Pien is a Massachusetts Institute of Technology graduate and received an M.B.A. from Carnegie-Mellon University. Mr. Pien currently serves as a director of ViroPharma Incorporated and Vanda Pharmaceuticals, Inc., each a publicly traded biotechnology company." Remember the Letter that I sent to CBER about the Anti-CTLA-4 Shortage?? Well, I did a little research!!!!! See I came from a background of using bioreactors for growing things like detergent enzymes, bacteria ..etc. † Present address: Analytical Technology Division, Eastman Kodak Co., Rochester, NY 14650. So when Bristol Meyer Squibb contacted me this week and said that they are going to continue the ban on the compassionate use for Critically Ill Melanoma Patients, I was furious. They told me that they serviced 1400 compassionate patients before stopping the program. So Lets do the Math!!!!!!! That doesn’t seem like a lot. Are they using a small reactor vessel? I bet they are not. Well I forgot to take into account the Patients bodyweight. 800 mg per dose, So about 8000 mg for 10 doses for a person weighing 175 lbs. Thank for checking my math Jerry!!!!!! So what does it entail to make these antibodies? Once you have them separated and frozen, and stored in cryogenic storage, all you have to do is to take some vials and inoculate your bioreactor with them. With the correct medium, temperature, pH and oxygen and nutrients, they begin to grow. Figure 4. 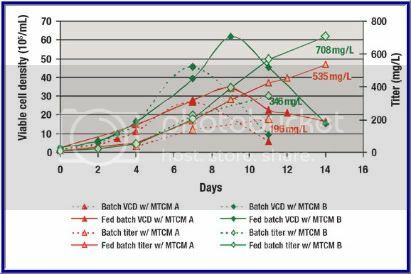 Comparison of first and second generation MTCM basal media for a HuMAb production using Expression System I. As you can see it does not take a year to produce these antibodies. Most likely they have quite a number of bioreactors. So when one reactor is down due to sterilization, they can start another run in the other one. So the Million dollar question is, Why did they stop the compassionate use program?? I find it hard to believe that your “process” is taking a year to get under control and be efficient. If it was FDA approved, and you were loosing capital, it would be under control by now. See, I am not your typical Patient. I worked in the Biosciences Industry for a number of years. You can’t sweep this under the table. 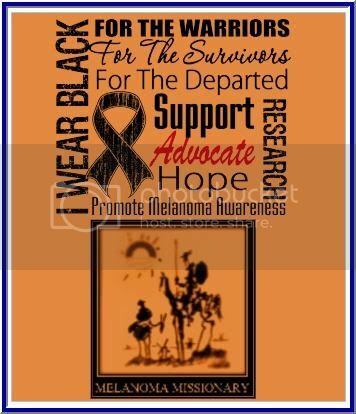 There are Melanoma Patients dying. I am seeing it first hand. The blood is on your hands!!!!!!! This is nice PR, but if you don’t walk the walk and it is all talk, then it means NOTHING!!!!!!! And the most ill Melanoma patients don’t have time on their side. Well that was base on my therapy and Melanoma experience. Well, Last night I came across a paper that caught my eye. So I email him in Germany for a copy of his paper. I received it this morning. I now have hard facts that back up my theory. This is tell me there is a feedback loop. By supplying extra IL-2 in the beginging of the activation event, you grow the cd4+ Tcells along with the Tregs. This is not what you want to do. Everything is coming together rather well!!!!! Look at the homing to the inflamed tissue!!!!! see both diagrams. The inflamed response is within 15 days. This is not a coincidence. I believe all the pieces are falling into place. Researchers are giving vaccines in combination with other drugs either to help boost the immune response or to attack the cancer on multiple fronts. July 6, 2009 Even if a vaccine produces an appropriate cancer-attacking immune response, it still may not be enough to achieve clinical benefit, especially in patients with very advanced disease. This could be because the ability of large tumors to suppress the patient's immune system is stronger than the vaccine's effect. Or it could be because very sick patients may not have healthy enough immune systems to respond to the vaccine. Now researchers are giving vaccines in combination with other drugs -- either to help boost the immune response or to help attack the cancer on multiple fronts. And they are more careful in selecting patients who might benefit from vaccine therapy. For example, the new melanoma vaccine (which uses a fragment of a protein called gp100) is given in combination with the immune stimulant interleukin-2, which serves as a growth factor for immune cells, says Dr. Douglas Schwartzentruber, medical director at the Goshen Center for Cancer Care in Goshen, Ind., who presented the clinical trial results at last month's conference. "It causes the lymphocytes to multiply in large numbers," Schwartzentruber says. "So you can specifically train this lymphocyte to recognize this cancer, and then you can multiply it with the interleukin-2." Interleukin-2 also happens to be an FDA-approved treatment for melanoma. With that drug alone, up to 15% of patients will see their tumors shrink. "That's as good as anything out there, frankly, for metastatic melanoma," Schwartzentruber says. Of the 185 patients in his clinical trial, 10% saw their tumors shrink with interleukin-2 alone and 22% saw the same with the combination of interleukin-2 plus vaccine. With the new lymphoma vaccine, which also uses an immune stimulant to boost the response of immune cells, the results were more robust. In the latest trial, 117 patients who had received chemotherapy were followed for five years, on average. Those who received the vaccine -- made using a marker from patients' own cancer cells -- were cancer-free for 44 months, on average. Those who didn't get the vaccine were cancer free for 31 months. The Provenge trial included 512 men who had advanced prostate cancer that was not responsive to hormone therapy, a standard treatment for prostate cancer. The vaccine differs from the others in that a patient's own immune cells are removed, fitted with a marker for prostate cancer (called prostatic acid phosphatase or PAP), and injected back into the patient. Three-year survival rates were 31% for vaccinated subjects and 23% for control subjects. Provenge is considered the vaccine closest to the finish line, but FDA approval is by no means a sure thing. Any number of concerns might arise with close scrutiny of the data, says Dr. Len Lichtenfeld, deputy chief medical officer of the American Cancer Society in Atlanta. The FDA could find problems in the control group that muddy interpretation of the outcome or it might argue that effects on disease progression are as important as survival rates. Provenge has not been reported to slow progression of disease. If you have read my Paper "Melanoma and the Magic Bullet (Monoclonal antibodies)", You would see how to use HD IL-2 effectively in Melanoma therapy. I Have been preaching it; is all in the timing and dose. If you do anything this Fourth of July, Standup and Fight for what you truely believe in. What does the Fourth of July mean to you? To me, it has a new meaning. Independence for a Better Access To Developmental Drugs for the chronically ill.
We must make a stand!! Please take some time out of your busy schedules and send a letter to your government. Too many Cancer patients are needlessly dying. The Food and Drug Administration recently argued in the D.C. Court of Appeals that it has the power to ban meat and vegetables without violating anyone's fundamental rights. The agency chose this bizarre position in an attempt to counter arguments made by patients and their advocates in Abigail Alliance v. von Eschenbach. This groundbreaking case challenges the agency's refusal to grant access to investigational drugs, even as a last resort for terminally ill patients. Last year, a three-judge panel decided that the FDA is violating the due- process rights of terminally ill patients by denying them access to promising investigational drugs. In response the FDA moved for a rehearing by the full court, hoping to prevent a lower court-supervised examination of whether its draconian policies actually serve a narrowly tailored compelling governmental interest. In layman's terms, this means the FDA would have to show its policies toward terminal patients are so critical to the well-being of society that they supersede (in broad and highly imperfect fashion) the fundamental right of an individual to pursue life free of undue government interference. The FDA knows their policies will not survive this test, and doesn't want the question asked. Consider the FDA's handling of Genasense, a new drug for melanoma and chronic lymphocytic leukemia (CLL), two often terminal forms of cancer. The drug is being developed by Genta, a small, innovative company with only one approved drug and limited financial resources. Despite compelling evidence that Genasense is making progress in fighting both diseases, the FDA appears determined to kill the drug. .In the case of the melanoma application, instead of reviewing the clinical-trial data in accordance with usual methods (which showed positive results), the FDA chose a nonstandard statistical approach aimed at discrediting the results. The agency used this analysis in its briefing to its advisory committee, claiming that the drug might not be effective. The committee then relied on that information to vote against approval. Now, Genta has found a serious mathematical error in the FDA's analysis, rendering its results meaningless. Genta is filing a complaint under the Federal Data Quality Act to correct the record. But in the meantime, the drug remains unapproved and melanoma patients continue to wait. Genasense was also shown in a well-run, randomized clinical trial (the FDA's gold standard) to cause a complete disappearance of disease in 17% of patients with advanced CLL when combined with two older drugs. Just 7% of patients in a control group who received only the older drugs experienced similar benefit. The responders to Genasense have seen their relief last an average of 36 months, while those using other drugs saw their cancer return, on average, in 22 months. Following these results, the Director of the FDA's cancer division, Dr. Richard Pazdur, again convened a public meeting of his advisory committee. After an agency presentation designed to elicit a negative outcome, the panel voted 7 to 3 against approval, triggering an immediate reaction of surprise and dismay among many CLL experts. But the committee vote is less surprising if one knows that the FDA appointed several voting consultants to the committee (none of them CLL experts), and recused from the meeting the only sitting member of the committee who is an expert in CLL. Perhaps even more troubling, two of the voting committee members worked behind the scenes as undisclosed consultants for the FDA on Genasense, then without disclosure voted in the open meeting. A shocked Genta quickly requested a meeting with the FDA to seek clarity on the agency's position, and to present additional information from patient follow-up. On the referral of an eminent leukemia expert, Genta asked if we would attend the meeting as witnesses in our capacity as patient advocates. No compensation was offered, requested or received. Most of the meeting was consumed by getting the FDA to admit the obvious: The long-lasting, complete disappearance of CLL and its symptoms constituted "clinical benefit." Making these arguments were two cancer-medicine professors at M.D. Anderson Cancer Center, the recused ODAC member and an immediate past president of the American Society of Hematology -- all experts in CLL. None were employees of Genta and collectively represented a far more qualified advisory committee than the one that the FDA had convened. The FDA's inane answer to the CLL experts was that the long-lasting disappearance of disease in patients taking Genasense was a "theoretical construct" and not grounds for approval. The experts explained to the FDA that complete responses in advanced CLL patients are the medical equivalent of the Holy Grail. The FDA finally agreed, but was unimpressed with emerging data showing responders to Genasense living longer than responders in the control group. The experts were unanimous in advising that Genasense should be approved, but the FDA was unmoved. The agency's Dr. Pazdur suggested that Genta could make the drug available as an unapproved treatment through an expanded access program -- this from a regulator fond of stating that the best way to get a drug to patients in need is through approval! In this case the agency was saying to Genta: We are not going to approve your drug, but any patient who needs it can have it so long as you give it away. Genta responded that nonapproval would be a denial of patient access to Genasense because they could not afford to give it away in an expanded access program. Twice, Dr. Pazdur referred to that logic as a "business decision." Less than 48 hours later, the FDA rejected Genasense. Within days Genta made a "business decision," laying off a third of its staff in a cost cutting move aimed at keeping the doors open long enough to appeal the FDA's decision. The appeal was filed in early April. Genta's announcement of the filing included a statement from one of the expert physicians: "It is puzzling that they would deny approval to a drug that met its primary and key secondary endpoint, especially since these findings were observed in the only randomized controlled trial that has ever been conducted in patients with relapsed CLL." The FDA's handling of Genasense lays bare the all too common, aggressive incompetence of the FDA's cancer-drug division and should lead to an immediate examination of its policies and leadership, followed by swift corrective action. As for the FDA's belief that their power to control us and even deny us the pursuit of life itself is unlimited under the Constitution, we can only hope the appeals court disagrees. An agency that blocks progress against deadly diseases -- while arguing that its power to do so is above challenge -- is in dire need of a court supervised review. We need every patient and caregiver and family member to write to their Congressperson and Legislators. Bristol Meyer Squibb is violating the due- process rights of terminally ill patients by denying them access to promising investigational drugs. 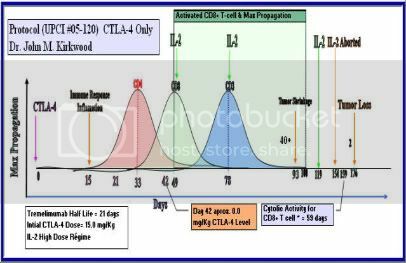 The Anti-CTLA-4 monoclonal antibody. I am asking you to standup for your Rights and contact your congress person. OX40 engagement and chemotherapy combination provides potent antitumor immunity with concomitant regulatory T cell apoptosis. © 2009 Hirschhorn-Cymerman et al. "Expansion and recruitment of CD4(+) Foxp3(+) regulatory T (T reg) cells are mechanisms used by growing tumors to evade immune elimination. In addition to expansion of effector T cells, successful therapeutic interventions may require reduction of T reg cells within the tumor microenvironment. We report that the combined use of the alkylating agent cyclophosphamide (CTX) and an agonist antibody targeting the co-stimulatory receptor OX40 (OX86) provides potent antitumor immunity capable of regressing established, poorly immunogenic B16 melanoma tumors. CTX administration resulted in tumor antigen release, which after OX86 treatment significantly enhanced the antitumor T cell response. We demonstrated that T reg cells are an important cellular target of the combination therapy. Paradoxically, the combination therapy led to an expansion of T reg cells in the periphery. In the tumor, however, the combination therapy induced a profound T reg cell depletion that was accompanied by an influx of effector CD8(+) T cells leading to a favorable T effector/T reg cell ratio. Closer examination revealed that diminished intratumoral T reg cell levels resulted from hyperactivation and T reg cell-specific apoptosis. Thus, we propose that CTX and OX40 engagement represents a novel and rational chemoimmunotherapy." By depeting or changing the Treg ratio/compared to the CD8+ Tcells, one can theoretically shift the balance of the immune system to initiate an immune repsonse.